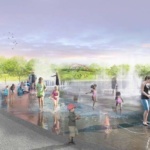 A statement from the office of Mark Ridley-Thomas, supervisor for the 2nd district, announcing the agreement explains that the initial $50 million phase will bring a 20,000-square-foot community events center, an outdoor wedding pavilion, a splash pad, and new children’s play areas to the 120-acre park. 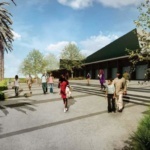 Plans for the initial phase also include upgraded security lighting, new walking paths, and additional parking space. 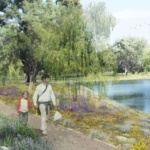 The project will also transform the park into a key element of the region’s water management ecosystem by diverting and filtering water from nearby Compton Creek in order to irrigate a 30-acre section of the park and to fill a large artificial pond, as well. 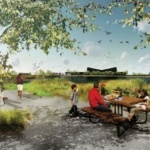 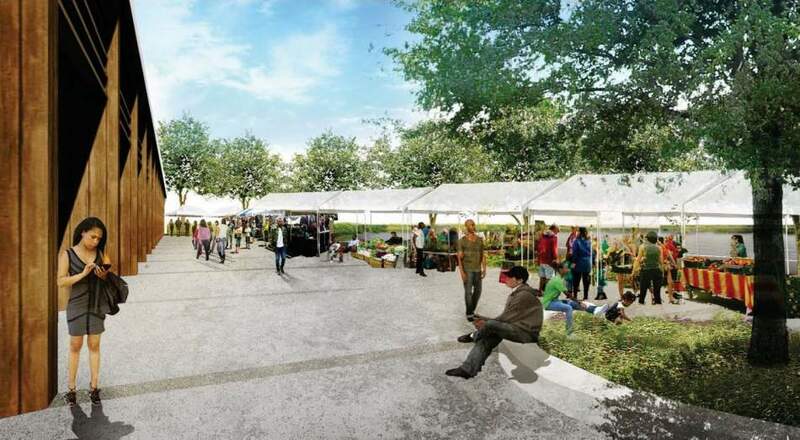 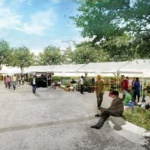 The initial phase will be bolstered in future years by a physical expansion of the park as grounds are added to the site from an adjacent housing development known as Ujima Village that has been torn down and will be converted to parkland. 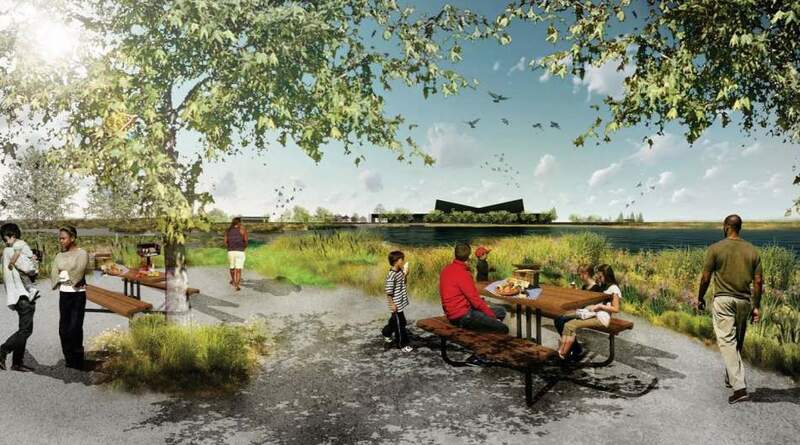 The site was once home to oil storage facilities, Urbanize.la reports, and has been remediated significantly since closing to residents in 2010. 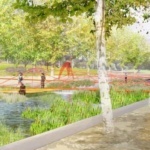 AHBE is currently at work on a series of transformative projects across the L.A. area, including a new $8.5 million public park slated for L.A.’s Chinatown neighborhood and a mixed-use renovation and expansion plan for the South Gate Galleria complex in Redondo Beach, California, led by Gensler. The firm also recently completed a landscaped terrace at Cedars Sinai hospital that functions as a collection of outdoor rooms anchored by a large pavilion designed by Ball-Nogues Studio constructed out of CNC-shaped steel tubing. 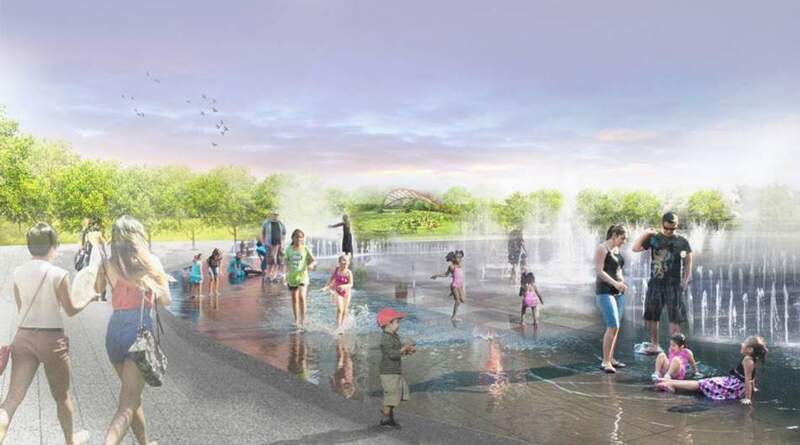 The initial phase of the master plan is set to begin in October of this year and be wrapped up by Spring 2020. 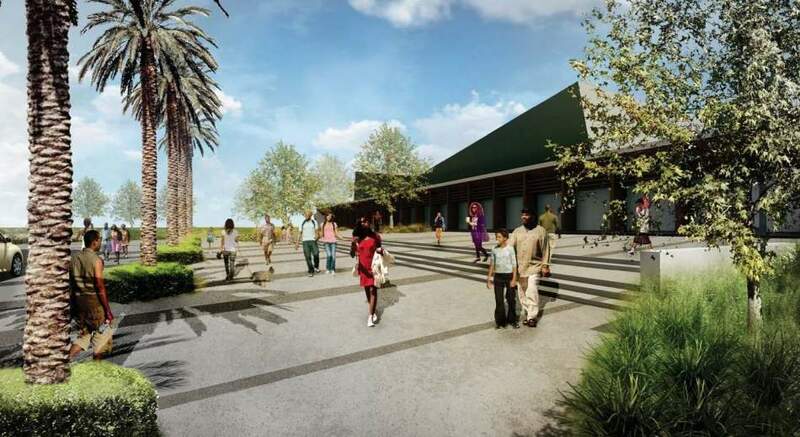 The final $135 million buildout should be completed by 2036.